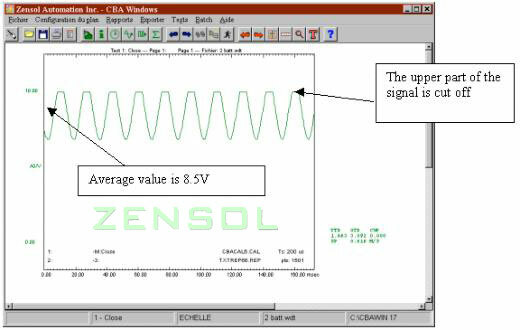 In effect, the average value of the signal centers itself on level zero, and we only see the part of the signal that is above the average value (the positive swing of the signal). 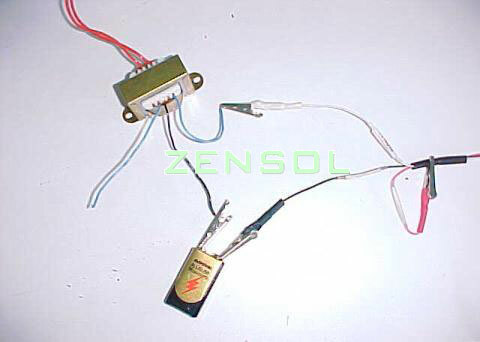 To see the entire signal, a battery has to be inserted in series to add an offset to the signal. 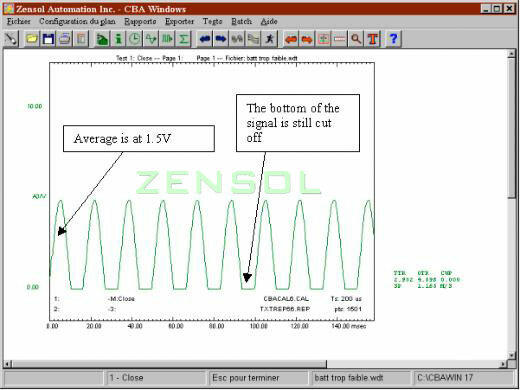 This offsets the curve by the amount of the battery’s voltage (in this example, the battery is at 6 volts). 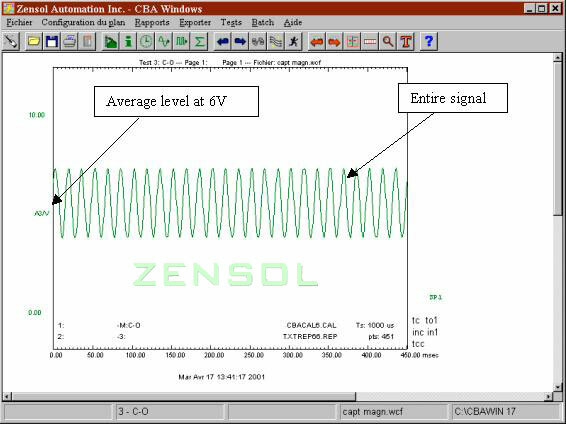 Care must be taken to choose the correct battery voltage in order to raise the signal to the right level. 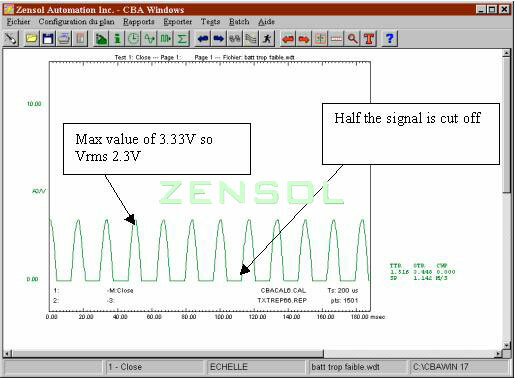 The signal was not sufficiently raised because the battery voltage is too low, and so the lower end of the signal is cut off. The average value is at 1.5 volts. So a battery with a higher voltage must be used. Also beware of the reverse effect : one must not use a battery with too high a voltage. The example of figure 8, below, shows what happens with an 8.5 volt battery. This time, the signal is cut off on the positive end. 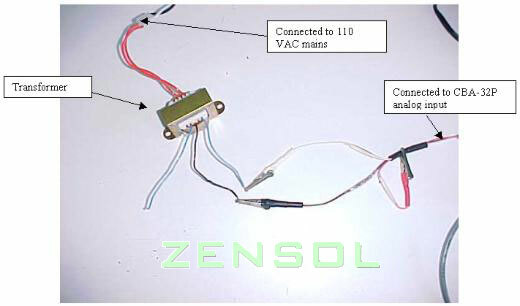 A battery with less voltage must then be used to see the entire signal.